Which is more urgent: military drones or a cure for cancer? The U.S. government has an answer: drones. Drones and other weapons of destruction are vastly more important than healing people - or at least that’s what one might think, based on our government’s spending priorities. In the most recent federal budget, we spent $821.6 billion on defense, which includes $636.2 billion for the Defense Department, $138.9 billion for veterans, and another $46 billion on foreign military aid. We spent just $29.1 billion for the National Institutes of Health, the epicenter of all our research on new cures for disease. That’s a decline of $1.7 billion from 2012 (thanks to the sequester). In the big picture, then, we spent 28 times as much on defense as we spent on curing disease. Does anyone in the federal government ever step back and think seriously about what our overall priorities are? Or do they just think about whether to adjust a particular agency’s budget a few percent up or down? Congress returns from recess next week, and they’ll make lots of noise about the budget decisions, and then they'll pass something that makes at most a few incremental changes. A big problem with our short-term approach to governing is that the forces that want to keep everything the same are always more powerful than the forces for change. The people and institutions that benefit from the current budget are already in place, and always at the ready to lobby against change. We desperately need to review our priorities, at least once in a while, and make a rational decision about how much to invest in the things that government does. Do I expect this to happen? No. But that doesn’t mean we shouldn’t try to make the argument. Here are just a couple of examples of how current spending plans just can’t be stopped, even if they have gone wildly out of control. First let’s consider the Global Hawk drone program, which the Defense Department itself would like to terminate: the Air Force says it has better equipment for the same job. Ending the program would save $2.5 billion over four years. (That’s $2,500,000,000. It helps to write these numbers out.) How did Congress respond to the Air Force proposal? 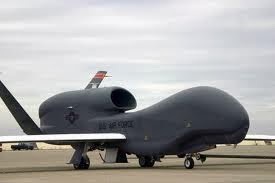 The head of the Armed Services Committee, Howard McKeon (R-Calif.) rejected the proposal and added $443 million to purchase three more Global Hawks. Not coincidentally, the manufacturer of these drones, Northrop, builds them in the district represented by McKeon. A bigger example is the Joint Strike Fighter program, the most expensive plane in history, which is now estimated to cost $400 billion by the time it starts flying in 2018 - if it’s not delayed further. This is more than triple its estimated cost in 2001, when it was first approved for $119 billion. Just recently, the Pentagon itself reported 147 “major” quality issues with the program. We won’t even have these planes for another 5 years, so obviously this hasn’t improved our security yet. And once it starts flying, the Pentagon estimates this fighter plane will cost another $850 billion to keep going. Who decided this was worth it? Is anyone seriously considering scrapping the whole project, before we spend another trillion dollars on it? There are many more examples, such as the $436,000,000 we’ve spent building new Abrams tanks that the Army does not want. The Army may not want it, but it’s built in Ohio, and the Ohio members of Congress (both Democrats and Republicans) have fiercely defended it. It’s not just Defense, of course - we are still funding the 1925 federal helium program, which Congress seems unable to kill. The helium program was started after World War I, when the U.S. was worried that it wouldn’t have enough blimps. Lobbyists are keeping the program alive. You might expect that we would be pouring money into research on the biggest causes of death in the country - at least as much as, say, a new fighter plane. But you’d be sorely disappointed: the entire U.S. budget for cancer research at NIH's National Cancer Institute is $4.78 billion. That’s for every type of cancer (and there are hundreds). This budget covers clinical research on new treatments, long-term research on understanding cancer, and everything in between. The budget for heart, lung and blood disease (the number 1 and 4 causes of death) is even smaller, just $2.90 billion. These numbers are little more than round-off errors when compared to the entire U.S. budget, which for 2013 is $3,454 billion. The NCI budget is just 0.14% of the total. How much should we invest in cures for all disease each year? How about 5% of our budget? Or maybe just 2%? That doesn’t seem like too much. Ask anyone who has cancer, or who knows someone with cancer, if 2% of the budget is too much to invest in cures. I suspect that most of them will say it’s not nearly enough. 2% of the federal budget is $69 billion. Let’s put that on the table as next year’s budget for NIH. Rather than building weapons, let's use our tax dollars to build new things and make new discoveries. Rather than destroying infrastructure in other countries, let’s invest in our future, and create new treatments that make our lives longer and healthier. Think about it. If we invest more now, you might see a cure for most forms of cancer in your lifetime. Two generations, though, will be far too late for most of us. How many more people need to die from cancers that we’ll eventually be able to cure? The U.S. Secretary of Education, Arne Duncan, has come up with a plan to produce official government rankings of our universities. The plan was announced this past August, and over the past month, the Obama administration has been holding public forums around the country to get input about its plan. But it seems like they’ve already made up their minds. I hope not. This is such a bad idea I don’t know where to start. But I’ll start. First of all, we have multiple rankings systems already, including the highly regarded U.S. News college rankings, which millions of students, faculty, and administrators use every year. Even though everyone loves to complain about it, U.S. News is pretty darned good: they rank colleges in many categories, by region, by specialty, and more. They also rank graduate programs and professional schools such as law and medicine. If you don’t like U.S. News, there are several other rankings, including the more recently established World Rankings from Shanghai and The Times Higher Education rankings. These are excellent rankings, well-documented using multiple criteria, and not nearly so US-centric. All these websites are chock-full of useful data about hundreds of universities. I know, I know: “ratings aren’t rankings” as Ben Miller wrote recently at the Inside Higher Ed site. But I’m not at all confident that the proposed ratings won’t turn into a ranking system, especially with the weight of the federal government behind them. 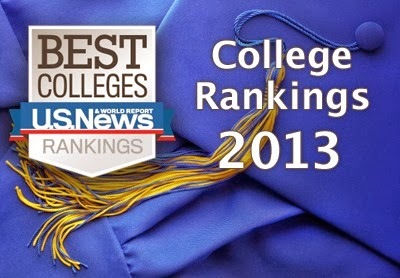 So we don’t need a federal ranking of universities. That’s the first problem. Second, this push to create official ratings will inevitably lead to a new bureaucracy within the Education Department, which will then create a constituency that will fight to keep itself in existence. How many staff will Secretary Duncan hire to create these rankings? Dozens? Hundreds? And how many university employees around the country will then have to be hired to answer whatever questions the government asks? This seems like it could quickly become a very expensive proposition, running in the tens of millions of dollars annually, or perhaps even more. I haven't seen any estimate of how much this new system would cost, but I'm betting on a lot. What will we cut from the federal budget to create this new system? Third, a ranking system will likely spawn a host of new requirements that universities will have to satisfy. Why? Well, primarily because federal financial aid to universities will be tied to their ratings. Thus it’s pretty clear that universities will do whatever they can to keep the feds happy. And I’ve no doubt that with a full-time bureaucracy in place, the federal raters will keep moving the goalpost - coming up with new measures that in turn will spur new costs throughout academia. I’m highly skeptical that any of these government metrics will lead to better education. We’ve already seen what government scorecards do in our public education system. Thanks to the No Child Left Behind program, we now have incessant testing of students, beginning in elementary school, and thousands of hours devoted to teaching students how to take tests rather than learn new material. Schools have not improved as a result. Do we want this trend to creep into colleges too? I’m not the only one who thinks this a bad idea. Janet Napolitano, the president the University of California system and former Secretary of Homeland Security under President Obama, told the Washington Post that she is “deeply skeptical” of the criteria that a federal ratings bureau would develop. “It’s not like you’re buying a car or a boat,” said Napolitano. Secretary of Education Arne Duncan has already criticized the critics of the new rankings system, calling the criticism “premature and a little silly.” Duncan emphasizes the need to address the alarming number of college students who default on their student loans. 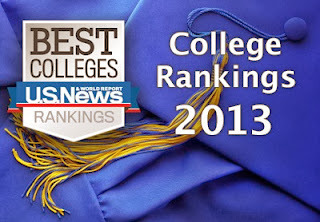 This is certainly a problem, but a college ranking (or rating) system is not the solution. So yes, we do have a problem with student debt. One solution would be to exclude truly bad colleges, which are responsible for a disproportionate share of student debt, from federal aid. But that would mean naming the bad apples, who in turn will claim that the government is somehow being unfair. Perhaps the new ratings are an attempt to be fair, but it just makes no sense to rate everyone in order to identify the worst universities. Having a federal government agency produce college rankings is just a bad idea. Retractions are always interesting. When a scientific paper is retracted, it usually means the authors have found a serious error, and that the major conclusions are no longer valid. The error can be unintentional, but in some high-profile cases, the story is far more interesting. Reading about a retraction is, for a scientist, kind of like reading about a celebrity divorce. You know something went wrong, and it just might be a bit scandalous. Last year, I wrote a detailed takedown ("Does genetically modified corn cause cancer?") of a very poorly done scientific study by Gilles-Eric Seralini and colleagues, in which they claimed that genetically modified corn, Roundup Ready® corn, caused cancer in rats. The study had many egregious flaws, and I explained a few of them after reading the paper. Hundreds of other scientists criticized the study at the time, and six French science academies took the unusual step of issuing a joint statement that rejected the study's conclusions. 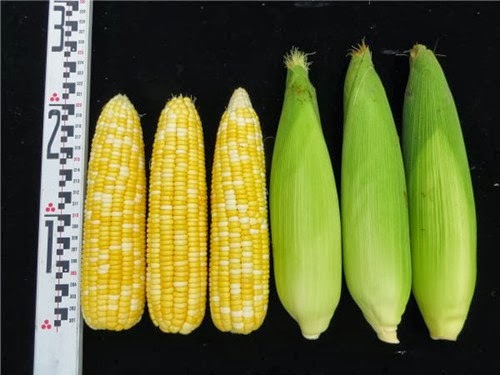 Among the many flaws, the study used far too few rats to make statistically valid conclusions, and it contained self-contradictory results, such as data showing that rats fed the highest amount of GMO corn lived longer than rats fed the lowest amounts. They also used a strain of rats that is highly prone to cancer. Basically, it was unconvincing junk science. 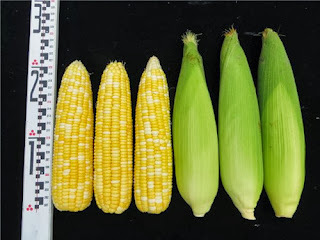 "A more in-depth look at the raw data revealed that no definitive conclusions can be reached with this small sample size regarding the role of either NK603 [RoundupReady corn] or glyphosate [Roundup] in regards to overall mortality or tumor incidence. Given the known high incidence of tumors in the Sprague-Dawley rat, normal variability cannot be excluded as the cause of the higher mortality and incidence observed in the treated groups." In other words, the editors concluded that Seralini's results were not supported by the data. Together with the rest of their statement, it seems pretty clear the editors are admitting that they screwed up during the peer review process, and they never should have published the article. Seralini is very unhappy. So unhappy, in fact, that he's threatening a lawsuit, as Forbes contributor Jon Entine reported. But is this grounds for retraction? Lots of bad science gets published, often due to sloppy peer review, and most of these papers aren't retracted. In this case, it's pretty clear that the high-profile nature of the paper played a role. Seralini is part of an anti-GMO organization, CRIIGEN, which has used this paper as justification for an aggressive campaign to ban GMO crops in Europe and elsewhere. As bad as this study is, and as much as I'd like to see it retracted, I'm not sure that the justification given by the editors of Food and Chemical Toxicology is sufficient for retraction. Maybe it's because their statement is too carefully worded - wimpy, in fact. If they just came out and stated clearly that the study's conclusions are erroneous, then they would have a much better case for forcing the retraction. But they don't quite say that. Here's what they are trying to say: "we screwed up and did a shoddy job in the peer review process, and now we realize that we never should have published this piece of dreck. Now we want to retract it so that no one will associate our journal with this bad science." I know some very good scientists who have retracted papers merely because they couldn't replicate the results, and they grew worried that something was wrong. That's how science should work: rather than publish something erroneous, most scientists will admit their errors and retract their findings, or at least issue a correction. Obviously, Seralini has no plans to do this. His intent on publishing this paper was to make a political point, not a scientific one, and he distorted his findings in the paper itself, overstating his results with insufficient statistical evidence, and more so in statements to the press. Retractions are indeed interesting. I'm still not sure the journal did the right thing to retract this paper, but I know they never should have published it in the first place.